Bing wrote about their new Multi-Perspective Answers for their Intelligent Answers set. This is similar to what Google calls "featured snippets," in case you were wondering. Bing wrote "Today, when you use a search engine to find answers to your questions, your experience can quickly turn into an echo chamber because search results often cover just one side of the spectrum of possible answers to your questions, which can lead to confirmation bias." 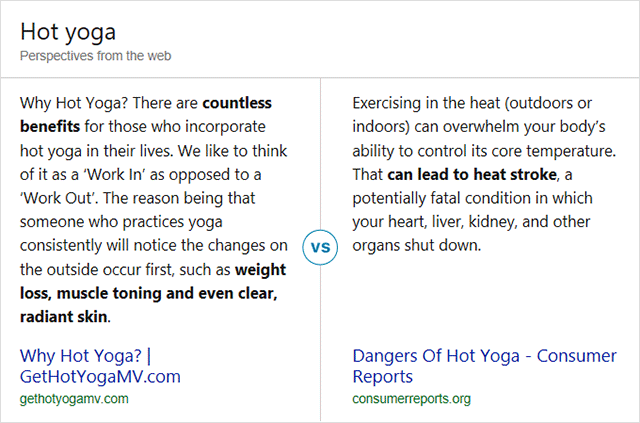 The funny thing is, I mentioned this to a Googler recently - I said something to the affect of, why not show featured snippets that are true to the person searching. 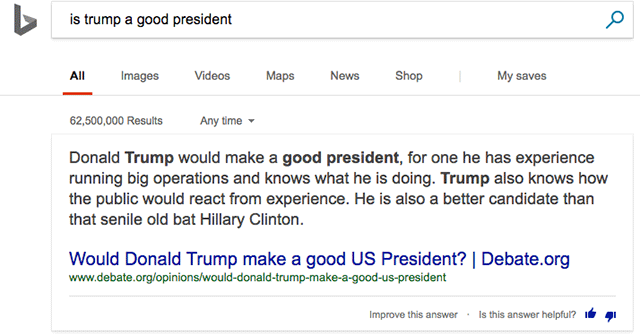 So if a Trump supporter searches for something related to Trump, show a pro-Trump featured snippet to that person and the opposite to a non-Trump supporter. Since Google doesn't want to get into the game of being the absolute truth, give people a more personalized result. 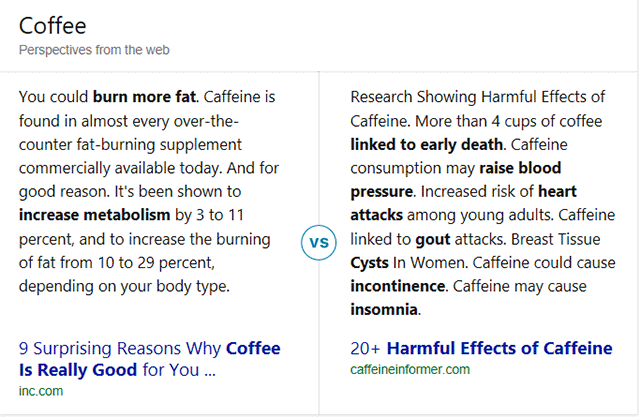 Bing doesn't specifically do this, they just give two sides of the story. 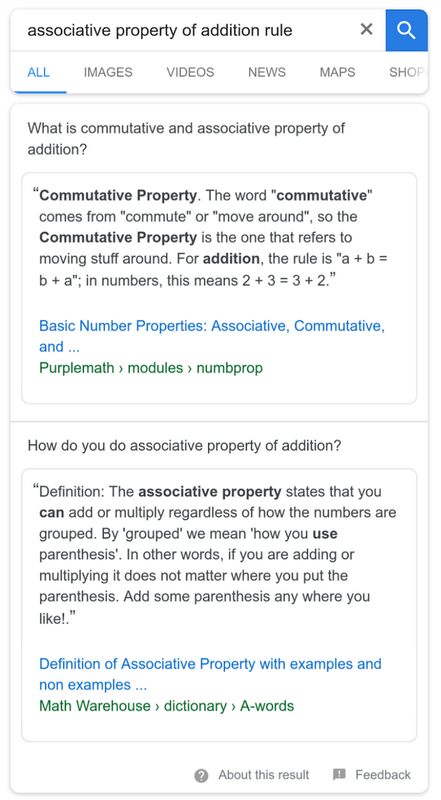 Heck, I searched for this on Bing and got an "intelligent answer" whereas Google won't show a featured snippet for it, at least not right now. 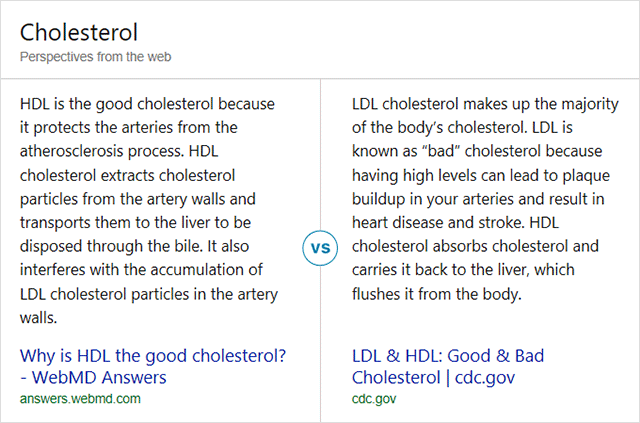 Google did show off showing two featured snippets on a single search result page, but it is more about diversifying the query that giving two sides of the answer. In any event, this is a neat feature and you can learn a lot more about how it works over here. Previous story: Is Google Showing Fewer Featured Snippets In Search Results?